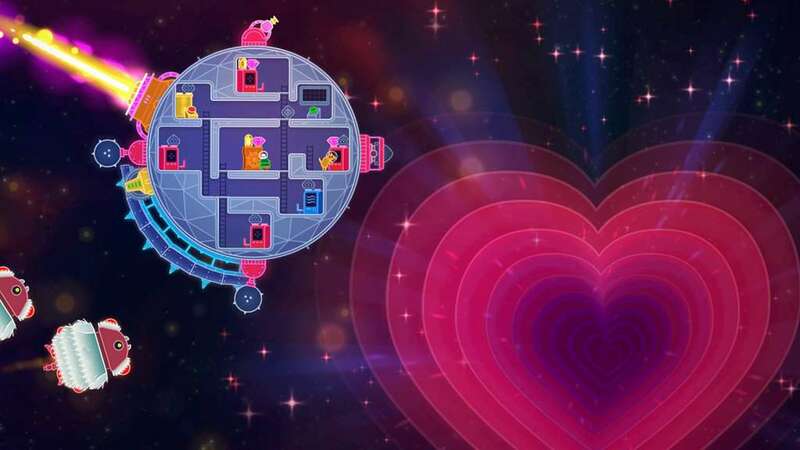 LOVERS IN A DANGEROUS SPACETIME is a frantic 1- or 2-player couch co-op action space shooter. 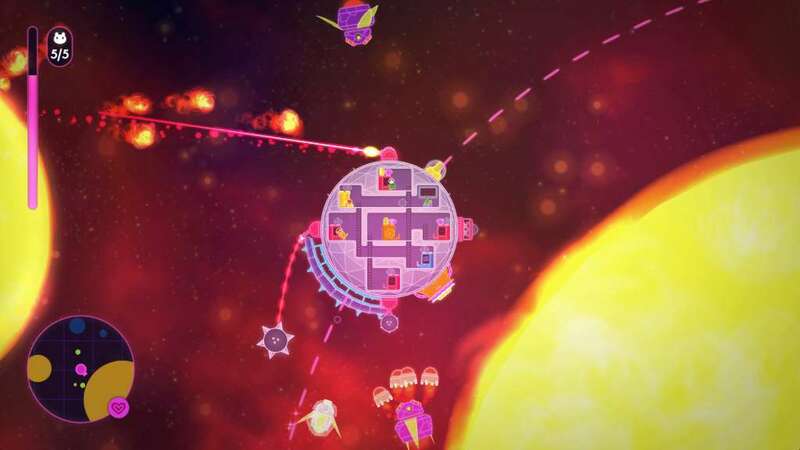 Explore a colorful galaxy in a massive neon battleship that you control together by manning turrets, lasers, shields and thrusters. Only through teamwork can you triumph over the evil forces of Anti-Love, rescue kidnapped space-bunnies, and avoid a vacuumy demise. Deep space is a dangerous place, but you don’t have to face it alone! 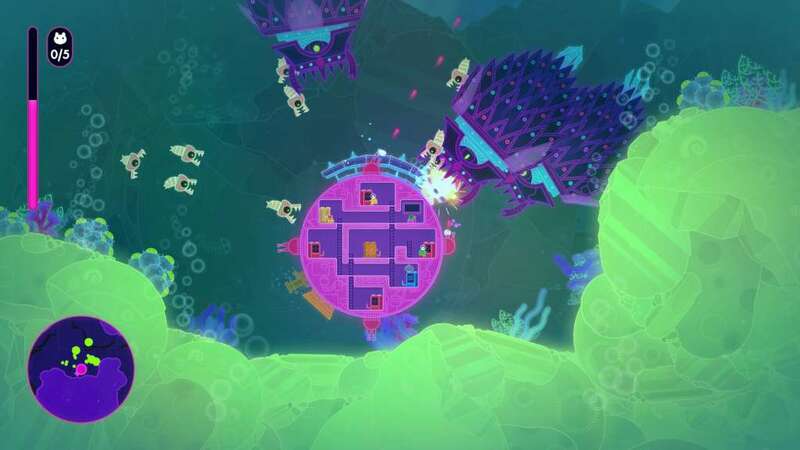 CO-OP GAMEPLAY: 2 players (or 1 player plus a loyal AI space-pet) need to work together to man the different battle stations, dashing back and forth between weapons, shields and engines. 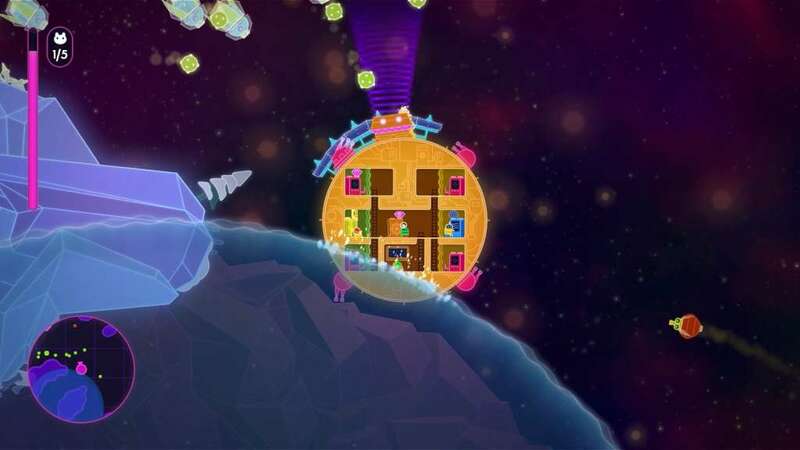 Both players fill important roles at all times, and nobody gets left behind. 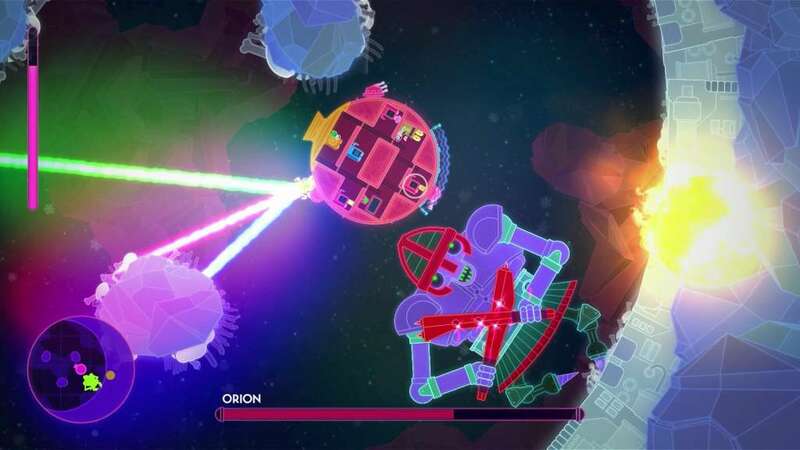 UPGRADEABLE SHIPS: Find and combine powerful space-gems to customize your ship's load-out. Each gem gives provides different abilities, letting you learn the right tools for every situation. A NEW EXPERIENCE EVERY TIME: Randomized level layouts mean that both players will be exploring fresh areas every time you play. 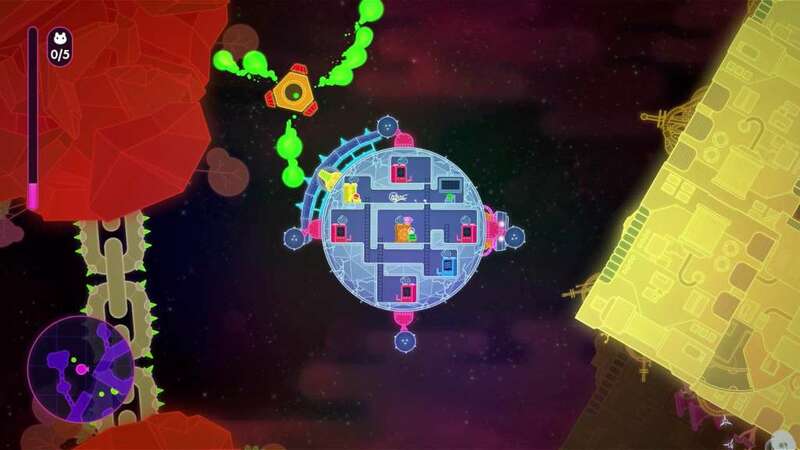 SIMPLE CONTROLS, DEEP CHALLENGE: Controlling your spacenaut is so simple that anyone can jump in quickly, but getting both players to work together like a well-oiled machine, battling a galaxy of evil robots and constellations — that’s the tricky part.